Sammie-Adopted! | One Dog More! 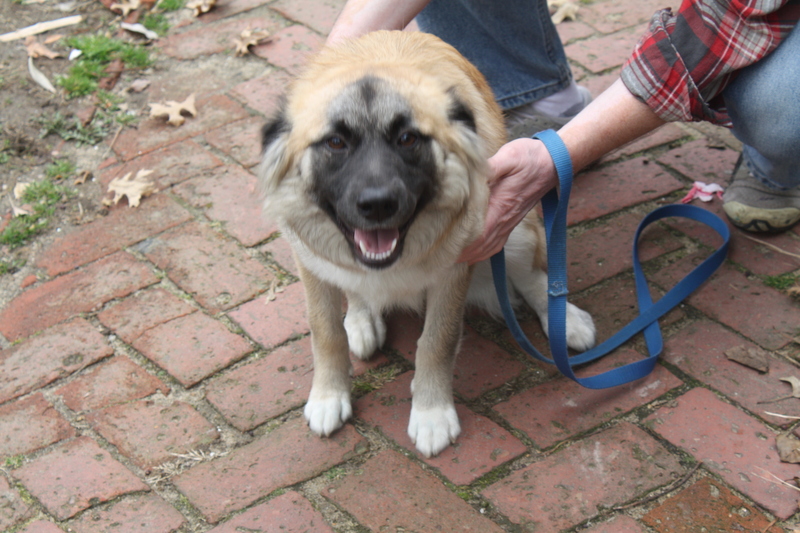 Sammie is a beautiful 9 month old Golden Retriever/Shepherd mix. She is up to date on shots, spayed, and microchipped. Sammie weighs about 30 pounds and has a cropped tail. She looks like a Golden whose face was dipped in chocolate. She is great with other dogs and good with kids. She does have the puppy nipping/chewing on hands tendency and needs some work on that. We have not cat tested her yet. 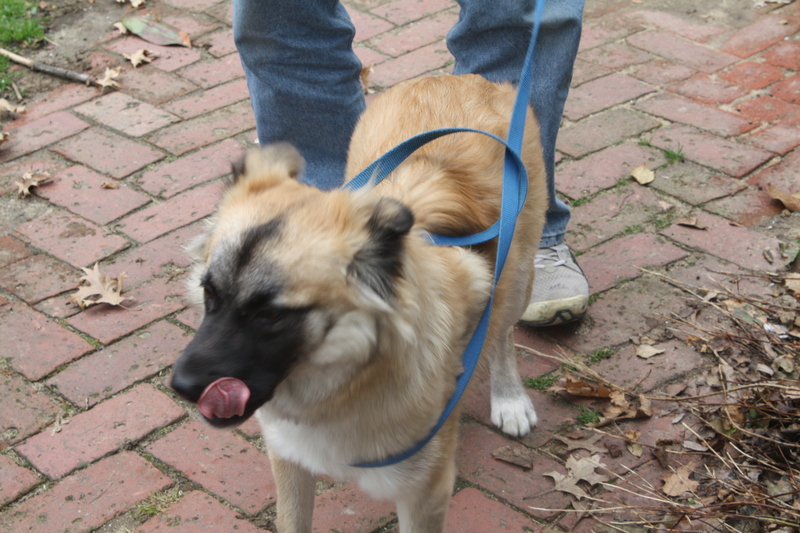 She is great on a leash and is crate trained but does great when left alone not crated.